I have mentioned our travel plans as a family before and luckily I did manage to tick something off the list for 2017 with our visit to PortAventura and a tour of the Barcelona football ground. Sadly, I still haven’t been to Disneyland Paris but seeing as I pitched it to hubbie as an either OR I still feel happy with my lot! I have however realised my plans for 2018 are a little unrealistic given the extent of the renovation work we are doing and the cost involved. There is no chance of saving up for a long-haul holiday in the available timeframe, but I have persuaded hubbie to let me go to Italy instead!!! It’s a slow gradual wear him out to agree to a holiday process and he looks like he might be relenting! I saw him write a blog post about new adventures in Italy so I took that as a sign of encouragement and once I get an idea in my head I am like a dog with a bone and not one to let it go! I turn 40 next year, seriously like how did that happen! Surely it gives me holiday rights for that year though and Italy is one place I have wanted to visit for YEARS! Although I think as I have got older my plans for what I want to do when I get there have changed. 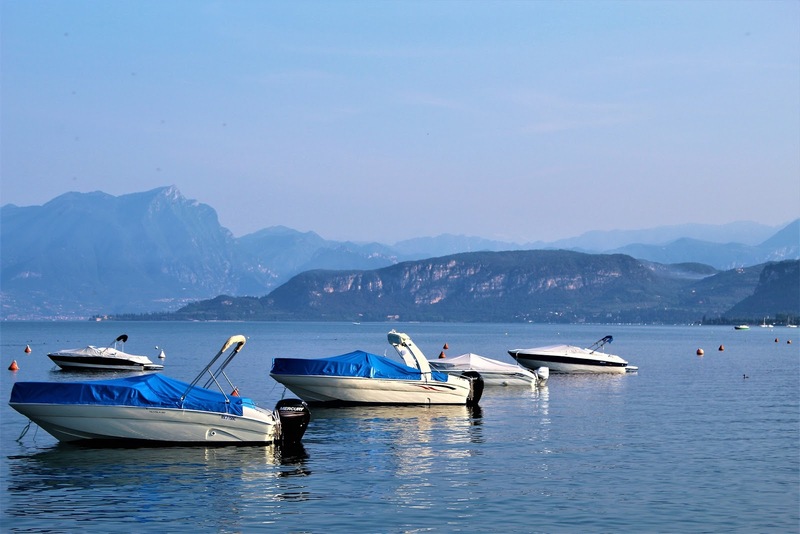 Now I want to stay close to Lake Garda the largest lake in Italy, it’s so beautiful looking there and a bit more removed from the hustle and bustle of the cities, surrounded by lemon trees and olive groves what’s not to love. Although I am keen to visit Verona I think as I am a romantic at heart and love the story of Romeo and Juliet which is based there. Gardaland is also nearby and the boys enjoy visiting new theme parks although some of the rides look a bit too thrill seeking for me! I want to hire a speed boat to go on the lake my boys will think that's amazing! They can take supervised turns steering and we can take in more of the scenic location. As a base Malcesine looks perfect with its medieval origins and lots of history! 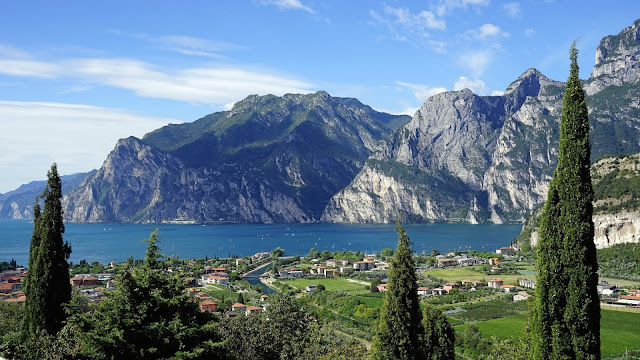 A castle to see and a cable car to travel to the top of Mount Baldo – although I don’t know if I feel brave enough for that yet, looking at the images its quite a steep climb and I am not a fan of cable cars at the best of times! I like my feet more firmly on the ground so if I miss the summit so be it, I might just go walking in the hills instead. Although if I could conquer my nerves it looks worth the trip to the top for the incredible views. The only thing with Malcesine is that Venice is a considerable distance, too far for my boys to do there and back in a day really! Never mind it might be an excuse to come back to Italy again (sssh! just don't tell hubbie, as its hard enough negotiating one holiday at a time out of the reluctant traveller!). 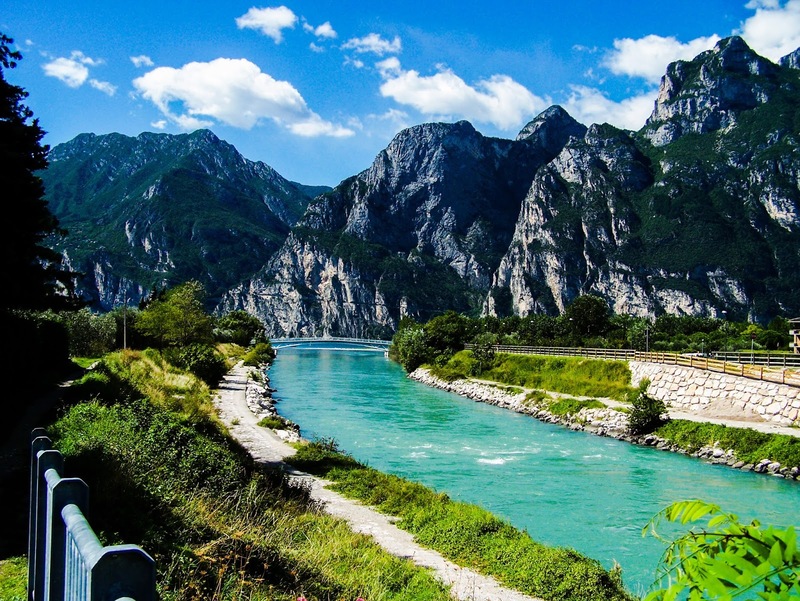 Have you been to Italy, what would you recommend seeing? Italy is a wonderful place for a holiday. We liked Sorrento as there was so much to see and do within easy reach, but I have my eye of the Lakes too. Wow that looks beautiful! I would love to go to Italy, I have never been and it is top of my list of places to visit. I would love to spend three weeks there and travel around to see some of the sights. Lake Garda is on my travel list too! Looks just gorgeous. Italy is definitely on my holiday list for next year.